Playing board games is a social activity, usually playing with other people. Sometimes playing with friends, and at other times people we’ve just met. Meeting new people and spending time with old friends is one of the great things about board games. Below are the top ten admirable behaviour’s, as voted by over 450 board gamers who participated in a recent survey. As a disclaimer, this list does not allude that not following these behaviours is negative, for a list of the top ten unacceptable behaviours check our previous blog post. Players want to be engaged in the game. Nothing pulls players out of the engagement faster than having to watch one player think for extended periods of time. Everybody else is sitting and waiting, looking at each other. If the behaviour continues, everybody is going to be wishing the game was over. When you’ve given the player adequate opportunity pointing out when they are taking too long is an appropriate behaviour at the table. Don’t feel afraid to be assertive and let another player know they are holding the game up. If you want to be less obvious, try asking “Who’s turn is it?”, which can usually give them a hint to speed up. Make sure the player is planning their move before their turn starts. Before starting, by consensus set an agreed finishing time up front and remind the player. AP is often caused by the fear of making a mistake. Encourage the player to discuss their thought process out loud so others can help. According to the survey, it’s admirable to stay silent during your turn, and not explain what you’re doing. Maybe it keeps other players guessing, maybe it makes you appear to be thoughtful, or perhaps trying to work out your strategy is fun for the other players and don’t worry about justifying your moves to the other players. “Yes, of course, I’m resistance!” Bluffing is a game mechanic where players deliberately lie to other people at the table to gain an advantage. Games such as Coup, Sheriff of Nottingham, Secret Hitler and Werewolf are built on this mechanic. A game provides everyone with a sandbox situation, where we can have fun lying to friends. It’s appropriate to lie and break deals accordingly in play, as long as we lie within the bounds of the rules and do not cheat. As soon as we step outside of the game rules, we are cheating which is inappropriate. Lying in a game is part of the fun, and other players shouldn’t take real life offence to such actions in a game. It is an acceptable behaviour to lie in a game or break an in-game promise. You don’t have to accept the majority opinion without checking the rulebook. If you’re unsure that a situation should be in your favour, there is no shame in pausing the game and checking online or in the rulebook to find the correct outcome. Board Game Resource warns players of “The Referee” being a player who “will leave no stone unturned in the rulebook, at least, as long as it rules in their favour… ” and are “conspicuously silent when the legality of their own actions are dubious.” Be wary that you’re not continually pointing out the rules that only benefit yourself, and be equally vigilant when a rule should favour an opponent. When you’re playing a game and one player has vast experience and knowledge over another player, an appropriate suggestion is to ask the more-experienced player to have a handicap. Inevitably the outcome of the game is already predicted, the experienced player will probably win by a considerable amount. Instead of going through the motions of an imbalanced game, giving a player a handicap and not only increase the challenge for them but give the less experienced player a fighting chance which increases both players investment into the game. Next time a skilled, experienced player asks you to play their game, try suggesting giving the skilled player a handicap to even up the odds. A disadvantage can also be applied if one player has repeatedly beaten another in any said game. Some games, such as Nations also have a handicap implemented into the rules. 5. Stay silent when someone takes a sub-par action in a game. Another player makes a turn which is sub-par, it’s not terrible, but also perhaps not optimal, and you can see there is another move they could do. Just because you can see the best move, does not mean you have to point it out to the player. There is nothing wrong with being quiet and letting other players make their moves. Continually pointing out the best move, can take some sense of ownership away from other players, and dilute the gaming experience for them. Uno! 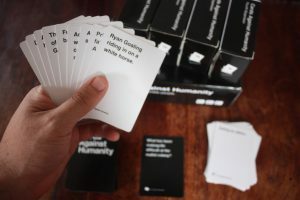 The famous card game where one player needs to declare they’re about to win, and rewards players for pointing it out if the about to win player does not announce their position. Uno isn’t the only game where it’s appropriate to point out when a player is going to win, according to the survey it’s good form in any board game to point out when one other player is close to the win. Although the near win might be evident to you, the other players may not notice. Pointing out to the other players how close that one player is to the victory gives the other players the last chance to make a last-ditch effort to prevent them from winning. Unfortunately, a clean and clear rule explanation is a luxury not afforded by all game manuals. The wording in a manual maybe ambiguous, or contradictory. What do you do? Instead of assuming the rules, the acceptable thing to do is ask for player consensus on the rule. In this situation, having more heads is better than one, and even if you find out you’re interpretation was wrong after the fact, by involving all players in a consensus you ensure no one person is blamable for incorrectly deciphering the rules. We have a local game host, who always creates a simple player aid sheet print out for all players. It can help the flow of the game, by allowing players to find the answer to a question proactively, and allows more than one player to read the rules. Some hosts will go as far as laminating the sheets for their players. If you’re a host that looks up, prints or creates player aids for your fellow gamers, thank you on behalf of us all, you’re doing a great job. The esoteric order of gamers does a great job of publishing creating player aids for many games. You’re in the middle of the game, you don’t want to leave, but you have a family emergency. Don’t feel bad; your family is more important than a board game. While you and your friends may have invested an hour or two without finishing the game, nobody should look down on you for putting your family emergency above the game. Just tell the other gamers and leave, then get up and go. You’re not a bad gamer if you don’t follow the above behaviours. However, according to the consensus of these players surveyed, these practices are seen as acceptable and can be confidently performed in the board gaming environment, and should not be frowned upon by others. I feel I should repeat the disclaimer at the beginning of the article, these points are not binary. Just because printing out fan-made player aids is a great thing for a host to do, doesn’t mean you’re a terrible host if you don’t print them out. Similarly, while staying silent during your turn is acceptable behaviour, it doesn’t say that telling other players what you’re doing while taking a move is terrible either. In fact, when playing with new players, I like to explain my moves to help them understand the rules. Do you agree with the top ten items? Feel free to comment. I hope this article gave some insight on how to be a more assertive gamer. If you want to find more board gamers to play games with, check out our board gamer meet up page to manage your board game group and find other local players. 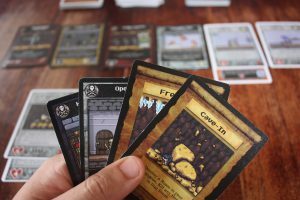 A special thank you to Ironregime on Board Game Geek for posting the survey, with some very thoughtful responses. 450 board gamers participated in a recent survey on behaviour at the table. While many questions were subjective and situational, the survey provided a fascinating insight into board gamer behaviour. According to the results, below are the top ten inappropriate behaviours for board gaming. The game night begins, and you bring a new game out to the table. During rules explanation, one player is distracted and does not listen, perhaps messaging on their phone instead. Throughout the game, the same player often says “nobody told me that was possible” or “I didn’t realise you could do that” during the game. It’s hard to enjoy the game when you don’t understand how a game works. As a player who has missed some of the rules explanation, please try to listen carefully during this part and if you don’t understand how a specific game mechanic works, don’t be afraid to ask the host to explain it a second time, other players also benefit from rules clarification. As the explaining player, the decision to repeat the rules explanation, or have one player not know what’s going on is a choice between the lesser of two evils. If you suspect a player isn’t paying attention, although incredibly painful, it’s often best to ask for their attention and repeat the rules explanation for them. In the end, the game will be more enjoyable for everyone when all players know what’s going on. Your sitting at the table playing a board game together, and between rounds one player spends all of their time on their phone. When it becomes their turn, it’s like a driver texting at the traffic lights who has no idea the light turned green. After pointing out to the player that it’s their turn, everyone must now wait while the player restudies the board and look for changes before taking their turn. Add five minutes per turn, onto the games estimated finish time for this player. Everybody understands urgent circumstances, such as when you’re expecting an urgent phone call, but don’t waste other people’s time by playing a game or having side conversations. 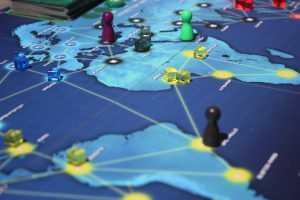 Board gaming presents an opportunity to break away from technology and use the board game as a social medium for face to face communication. As a player, put away your mobile devices at the table. Remember that while everybody in the room is there to enjoy the game, they are also there to enjoy the company and attention of those around them. Distracting yourself on your phone sends the signal that you do not enjoy the company of the others around you. When other players continuously sit and wait for you to take a turn, don’t be surprised when you don’t get a reinvite. 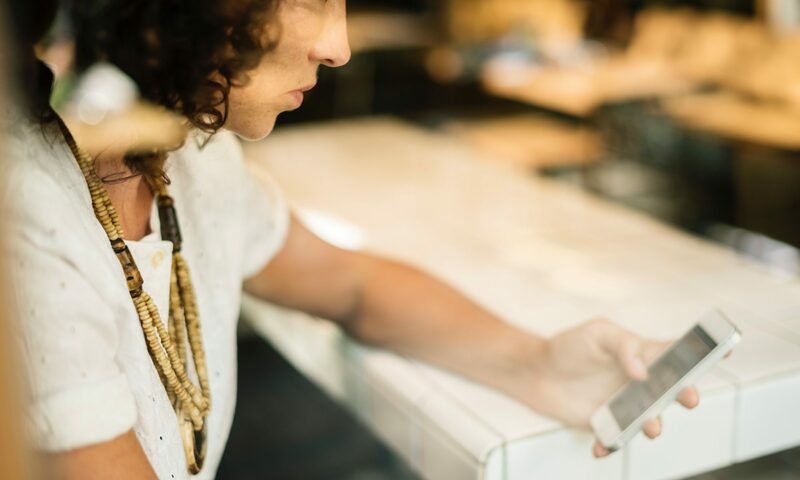 As an event host, if one of your players is consistently picking up their phone, consider that it might be a side effect of them feeling uncomfortable. 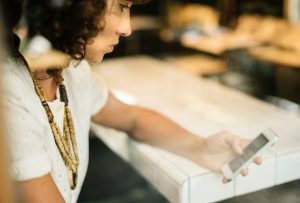 In the youtube video “Addiction to Technology is Ruining Lives” Simon Sinek argues that millennials prefer to interact with a mobile device in an awkward situation. Before giving a new person soul piercing glares for being on their phone, try and help the player feel involved and part of the group. You’re in a tight struggle with another player for the lead, and slightly ahead with a third player slightly behind. All of a sudden the player coming second offers the player coming third an offer, ‘help me win and I’ll shout you dinner’. The deal has nothing to do with the current game! The player accepts the request, and with the combined power of the other two players, you lose. Some may view this as cheating, while the requesting player can claim that they are not breaking any game rules. Kingmaking is a board gaming term for when a player who has no chance of winning, deliberately uses his influence in the game to determine the winner. The kingmaking player slows the player in the lead and or boosts another player to decide who wins the game. Kingmaking is frowned upon because the outcome of the game is no longer by each players skill levels or decision making. Interestingly, making deals inside of the game rules is seen as perfectly acceptable according to the survey, but if you find yourself resorting to deals reaching outside of the game know that you’re crossing an ethical line. 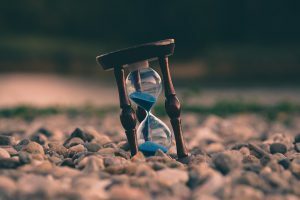 When you sit down to play a board game with others, people often ask how long the game? It’s an important question because you are entering an unwritten social contract to spend an allotted amount of time to have an interactive gaming experience with others. This behaviour is especially problematic in cooperative games, where all players are attempting to beat the game. Unless everyone no longer wants to play the game in front of them, when one player deliberately tries to lose quickly it ruins an otherwise enjoyable game for everyone. If you’ve committed to playing a game for a certain amount of time, consider how invested the others are in playing the game to the end. If you only have a fixed amount of time before another game is starting, tell the other players from the outset. Then, if the game continues over the recommended time limit, you can point out that you’ve run out of time for that game. If you do not want to play a game at all, you’re better off not starting when you don’t want to see the game through to the end. Be honest and tell the other players that you’re waiting to play another game, and therefore don’t want to start. Once you commit to a game and the other players are enjoying themselves, don’t try and ruin the game for a better offer. You’re playing a game when one player falls behind. They realise there is no way for them to win, so they stand up and leave the game. This behaviour is a more polite version of the table flip, without the flip. This issue involves the motives why people play board games. Some people play to win, and can’t stand to lose. Do you play to win? Or do you play to spend time with others? Do you value the journey? Or the end goal? Many people enjoy the social experience of the game, but some people need to win. Sometimes it can be the result of setting unrealistic expectations. A player may believe they are superior to the others in the group, and therefore their ego is bruised if they lose. The achievement in winning a game is only real if there is a risk of losing. If there is no possibility of losing, then why play? If you feel you must win, once you discover that other people are intelligent and smart human beings worthy of beating you, you’ll find yourself gaming for the social side, over needing to win. Cheating in a game may be intentional, or a direct misunderstanding of the rules. In a study conducted by McTernan, Love and Rettinger (The Influence of Personality on the Decision to Cheat), cheating was found to be linked to personality traits of impulsiveness and sensation seeking. If cheating is a personality trait then, people who cheat are likely to repeat the behaviour. Interestingly, the behaviour of letting people cheat was deemed highly unacceptable. Therefore, if you notice another person cheating, it is desirable to stop the person and point it out to others. You’re sitting at the table playing a card game when someone breaks open a bag of cheese supreme corn chips. With bright orange fingers full of cheesy, salty residue they go to pick up their cards you haven’t sleeved yet. The card becomes oil stained and has a permanent mark on the back which makes it visible when sitting on top of a deck. But board games are not cheap, and components cost money. 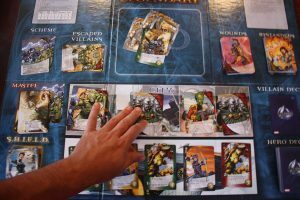 Even though board gamers may seem to have many games, they do value the games they own. Damaging one part could deem the entire game unplayable. Be careful about what food you bring to game night, and treat each component with respect. A player leaves the room to call his wife and tell her he’ll be home late. He comes back only to find his move taken and play continued. A player assures him there was just one reasonable option, so he made a move for him. Taking turns is an integral concept in communication, and is critical to natural language speaking. A player turn is their right to make a decision, control their destiny, and orientate themselves to the current state of the game. If the game continues without them present, they will lose their bearings and may not be able to enjoy the rest of the game. When a player leaves the room, pause the game and talk with the other players, have a break. Even when the player only has one possible move, show some patience and let the player make their move. This behaviour is similar to playing to lose, except the player doesn’t even feel the need to lose the game. As stated above, when you agree to play a game with other people, you are entering into an unwritten social contract to spend an allotted amount of time to have an interactive gaming experience and explore the game. While anyone can understand if there is an emergency, leaving the game halfway due to preference, shows disrespect and rudeness to other players. Your friend needs a toilet break, they set their cards aside on the table and say they’ll be right back after a quick toilet break. While they’re gone, you take a look at their cards. When they return you have a smug look on their face, but they don’t know why. All of a sudden each of your plays is countering theirs, and then you slip up by making a sly remark about the last card in their hand. When you look at another players cards, you’re not smart or intelligent. You’re disrespecting the player. Give people common courtesy and give them the privacy they deserve. Resist the urge to look at people’s cards when they leave the room. Most of the top ten inappropriate behaviours come down to common courtesy and common sense. Treat board games and board gamers with respect, and you’ll find that others will increasingly enjoy having you at the table, and you will enjoy yourself more often. There are many stages of the spiritual journey of becoming a modern board gamer. From that initial spark of discovery, through to wallet burning crazed excitement, and finally finding your unique style and acceptance. The following phases are the typical steps that a player experiences. 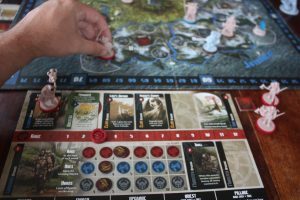 As board gaming becomes increasingly popular, more and more gamers start to progress through these steps. You are blissfully unaware of the world of modern board games. You know about Monopoly, the Game of Life, Snakes & Ladders, and poker, but it’s quite amazing that you made it to this blog, and you have no idea what you are reading. Most people will get stuck in this phase unless a friend introduces them to gaming. You just found about modern board games through a friend, colleague or associate. Somehow you joined in for a social event and enjoyed yourself. You like the idea of board games, and you have just become aware that there are thousands of board games to play and tens of thousands of people who play them. You’ve subscribed to the /r/boardgames subreddit and may have found the boardgamegeek.com website. You started to watch YouTube series such as Wil Wheaton’s Tabletop, Tom Vasel’s Dice Tower, Rhado or Watch It Played. Due to the overwhelming amount of board games that exist, you’ve begun to google top ten board game lists and to investigate the different types of board games that exist. 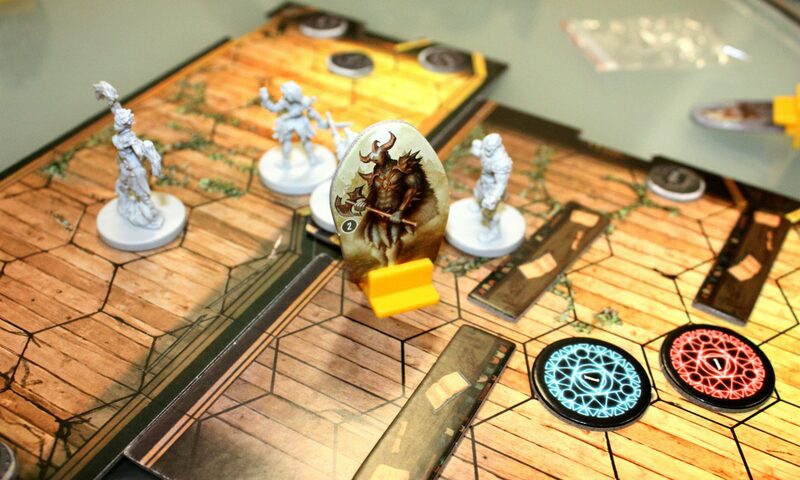 Somehow you’ve managed to find out that there are different board game styles. You’ve found new terms such as “Eurogames” which indicates the game has little luck and more resource-based economic themes and “Ameritrash” which indicates a game is more thematic with conflict and drama. You’ve investigated enough board game styles to have an idea of what you think you want to play. You start buying some board games cautiously based on reviews and videos that you have watched. To your surprise, you’ve found out that there is a broad range of solo games that are also quite playable and fun. 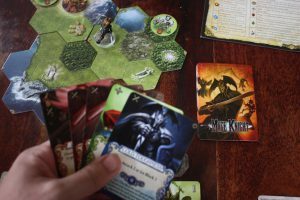 You initially convinced yourself that you would try one or two board games, but somehow you’ve ended up spending a lot of money on new board games and come to accept that board gaming is your new hobby. You spend your paychecks on regular impulse board gaming buys and kick starters. You religiously watch your favourite youtube channel and you have decided to try and find matching game players who have similar tastes for you to play games. You start looking for the best deals on Amazon and you’re kick-starting each modern new board games coming out. Although the big signal that you’re at this stage is that your secret birthday wishlist’s for your friends now has board games on it. 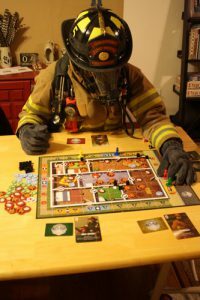 Players who are too far gone cannot play a game more than once because they own and need to play too many board games. They would love to play a legacy game, but it’s impossible to commit that many play sessions to one game when there are so many unplayed games to try. Choosing the next board game to play next involves playing a micro-metagame selection process. The hours spent tracking games on BGG, Facebook and Kickstarter are akin to a part-time job. Januaries are spent determining travel budgets for the years board game conventions, and travelling to Spiel in Germany is a lifetime achievement. The sign that you are at this stage is you not only know what a math trade is, but you also know how to create one. Either reality starts to set in or you’re going broke. Either way, you realise that it’s hard to find the people and time to play games at the rate that you are buying them. You’ve started to understand that board games are not Pokemon and you don’t have to catch ’em all. You begin to enjoy certain categories of board games more than others. Your purchases aren’t as impulsive as before, and you’ve discovered you don’t have enough time to play all the games you want to, but you still buy a game once or twice a month. The physical sign that you are at this stage is you have a set of shelves that are now full of board games and you’ve started to plan your dedicated game room. You are quietly accepting and at peace with your decision to become a board gamer for life. Your family knows you love board games and probably play them with you. Your friends know love board games, and you have great gaming groups. You’ve committed to assigning part of your house to be a board gaming room. For the first time, you’ve started to remove games from your collection. Maybe you’ve sold the games, or you simply don’t have space to keep practically all of them. Mentally you accept that you don’t need to play every game, and you’ve probably narrowed down a handful of games that you want to play regularly. You have played thousands of different board games, yes that is right not hundreds, but thousands. You are a member of multiple gaming groups, and you’ve come to realise that different groups have different personalities and unique dynamics. You understand what style of games you enjoy and precise mechanics that you do and don’t like in a game. You don’t actively preach or tell people about board games, but when asked you are an ambassador for the genre and with your vast knowledge you can always add thoughtful discussion and predictions regarding games you are yet to play. Your collection is the perfect range of games that you like. It is not easy for a new game to make it into your collection, and you have a defined a rigorous trial of fire that any game must meet to make it successfully into your collection. The journey to becoming a Guru is an exciting roller coaster of social emotions. People get very attached to their board games, and getting to the final stage of getting rid of games is not a step that everybody takes. What everybody can agree on, however, is that modern board gaming is fun, and a great excuse to get some friends together. Check out our board gamer meet up site to find other local board gamers, and manage board gaming events. Roll for group exists to help make board gaming an accessible and enjoyable experience for everyone. There is a saying that says it’s easier to make friends out of board gamers, than it is to turn board gamers into friends. Roll for group includes a meet up service for board gamers, to help players find like minded individuals, and create new friends. 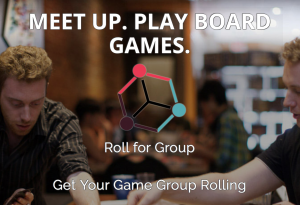 Roll for Group was created to help board gamers meet up and get games played.